For over seven years a/e ProNet had the good fortune of retaining Audrey Camp’s services. Audrey has authored the a/e ProNet blog, hunted down outstanding content for our guest essays and whitepapers, edited the ProNetwork News, and she worked diligently behind the scenes to maintain the a/e ProNet website. 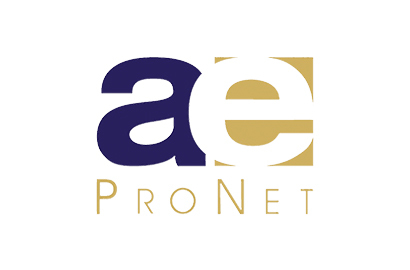 As an organization, a/e ProNet offers its members a host of industry specific content, which members can use to educate their clients about the nuances of their insurance programs and the relationship between insurance and their design trades. Audrey has been at the forefront of a/e ProNet’s efforts to keep up with the demand for substantive writing about risk management for architects and engineers, among other topics, and her matter of fact writing has been integral to the comprehensiveness and readability of that material. a/e ProNet found, in Audrey, a terrific asset. Audrey came to us with necessary insurance industry experience to discern between critical and immaterial issues, the tech knowledge to provide web-maintenance services, the networking capacity to obtain content, and she happens to be a professional writer! Audrey fit without a glitch into a complicated mold as our editor. But, best of all, we have had, in Audrey, a person with the passion, drive and focus necessary to grow a/e ProNet’s industry presence. Audrey’s care for this organization and its members fueled her efforts, and it shows. Audrey may be leaving a/e ProNet, but she isn’t slowing down. Over the last couple of years Audrey has shifted her focus onto other things, including motherhood, teaching literature at University of Oslo, and continuing her freelance writing career. And, in 2017 Audrey was elected Chair of Democrats Abroad Norway! Thusly, we bid Audrey Camp a fond farewell, and we thank her for her years of service to a/e ProNet and to us.